Bids by different countries to host the 2030 World Cup are welcome including the one announced by Morocco, Spain and Portugal, FIFA head Gianni Infantino said. 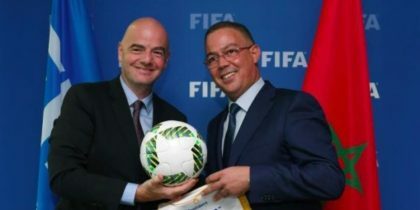 Speaking in Marrakech following a FIFA meeting, Infantino said that there is no impediments in FIFA regulations regarding organizing the world cup by countries from different continental associations. Infantino’s statements reassure the football associations of the Iberian peninsula and Morocco in view of the negative vibes received from the head of the Union of European Football Associations (UEFA). Aleksander Ceferin, UEFA’s chief, said in December that he would not accept a world cup bid that involves two different continents. “I’m not in favor of cross-confederation bids,” he stressed.